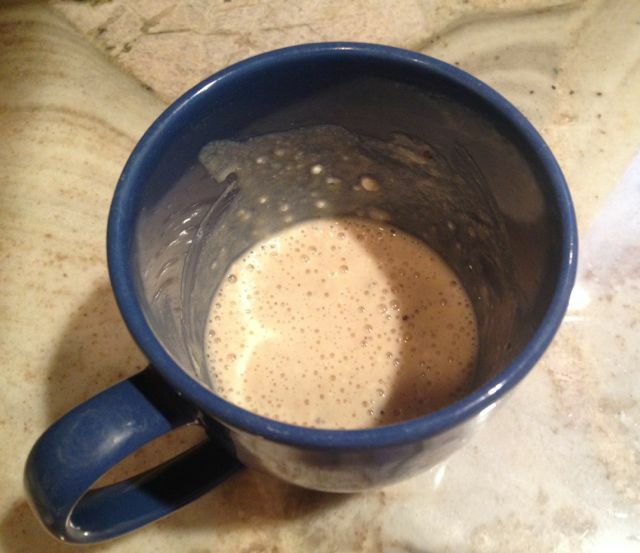 Recently, some friends joined Medifast and asked for my all-time favorite foods and/or recipes. 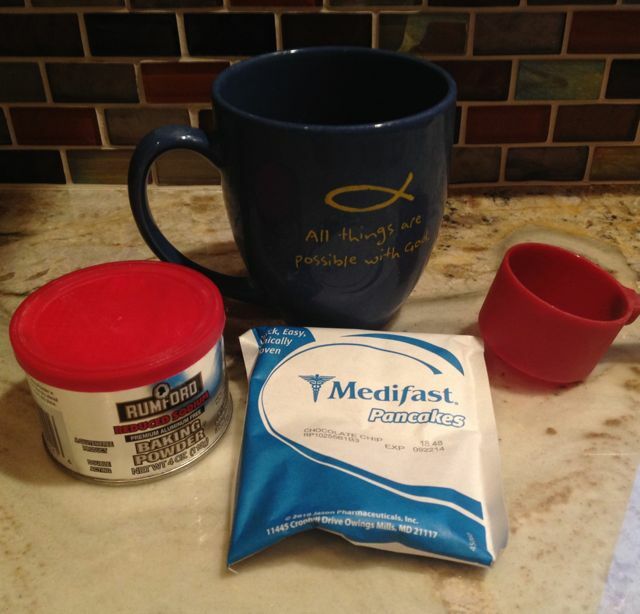 I shared this post, but realized I never included step-by-step instructions on how to make a Medifast mug muffin using a pancake packet! 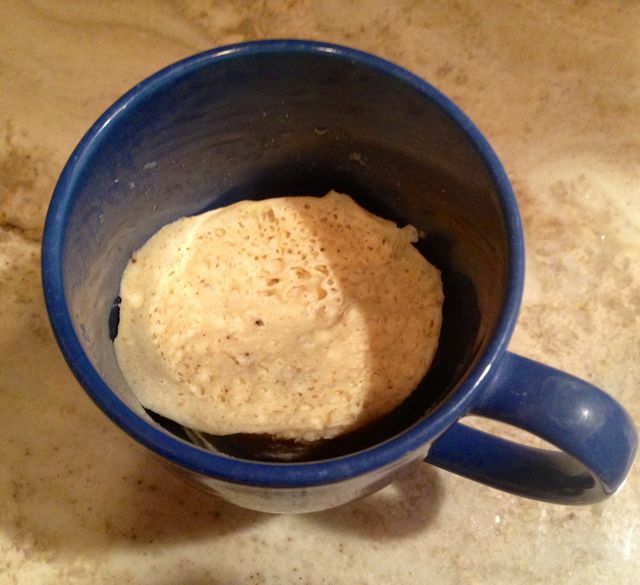 Step 1: Stir the pancake packet, water and a pinch of baking powder inside a microwavable mug. Lumps are ok. It is NOT necessary to spray the mug with oil, the muffin will not stick to your cup. Step 2: Microwave for 90 seconds. You will see your mug muffin rise while in the microwave, but it will shrink a little when cooked. Step 3: You can pour sugar free syrup on while inside the mug and enjoy (just remember to count your syrup as a daily condiment). For instructional purposes, I displayed mine on a plate. I literally just turned my mug upside down and the muffin slid right out! 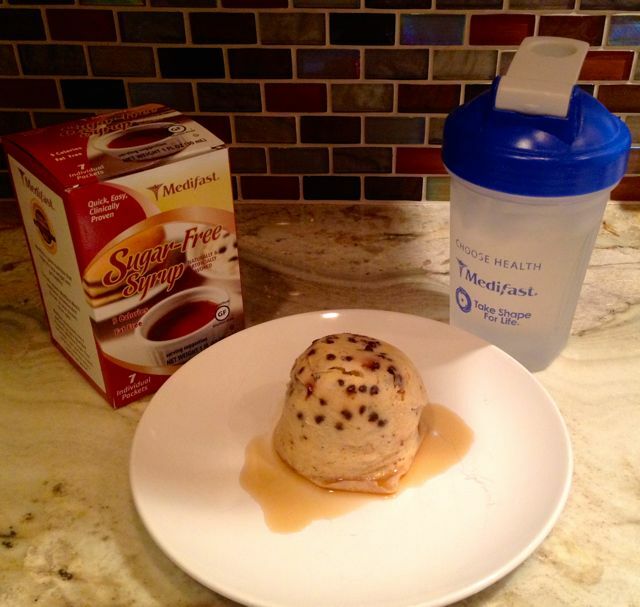 Then, I drizzled Medifast Sugar Free Syrup on top. 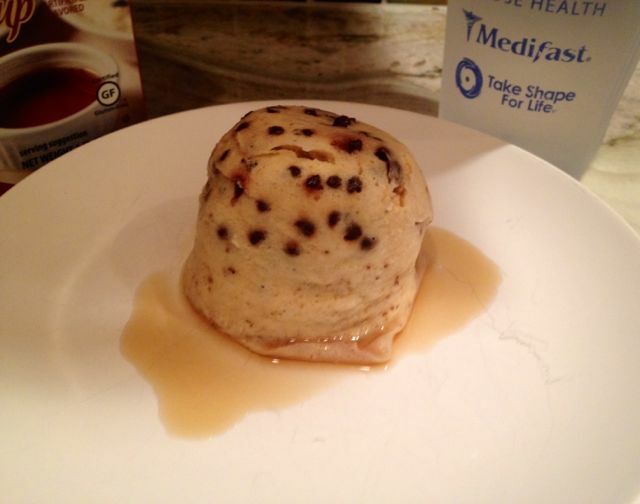 Here is my finished product…a Medifast Chocolate Chip Mug Muffin made from a Medifast Chocolate Chip Pancake Packet (paired with a large cup of ice water)! 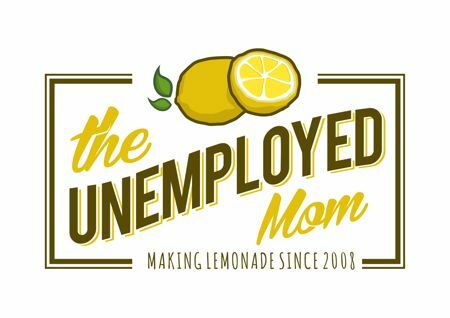 Seriously, you will think you are cheating, it is that GOOD! 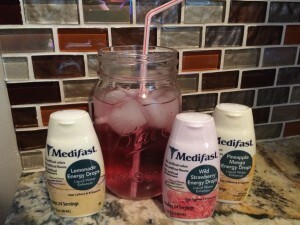 Ready to start Medifast? 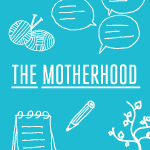 Check out my coupons codes below! Both are valid until December 31, 2013. Also, here is a reminder of my journey last year.